Bella Shah (M.D. 2016) was always doodling as a kid. As an undergraduate — and later a medical student — at U-M, Shah worked hard to intertwine her love of fine arts and design with her academic pursuits. 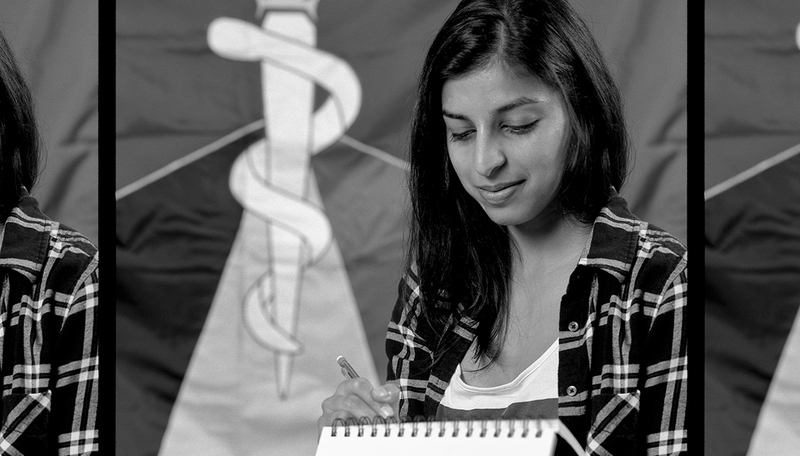 In 2015, those interests culminated in one historic moment: She was asked to redesign the Medical School’s flag. Now a resident in the Department of Emergency Medicine, Shah reflects on this pleasure and privilege.